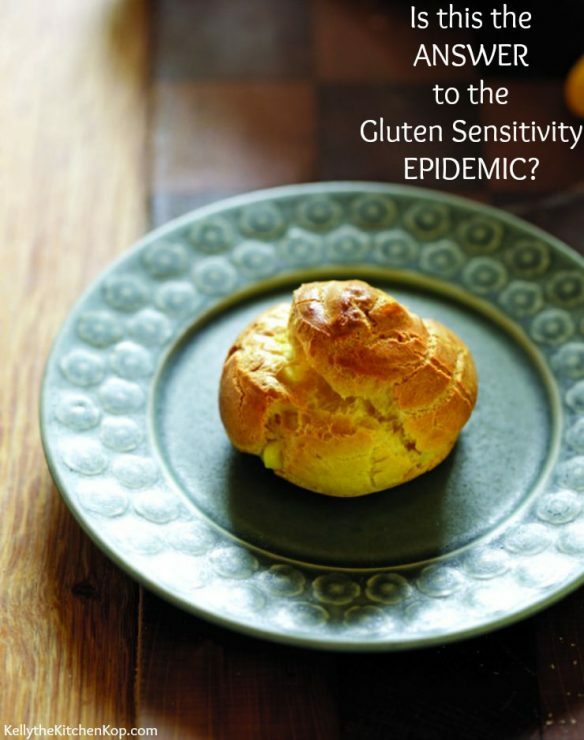 We all know someone with a gluten sensitivity, and why is that? Why are SO many unable to eat gluten-containing foods? Have you noticed that having company over these days isn't as easy as it used to be? Now you always need to make some gluten-free options, and likely, when you serve your celiac or gluten-sensitive guests, you'll find out they can't eat your special-made dish either, because they're also unable to eat dairy or sugar. Yes, it's a different world now. But why? 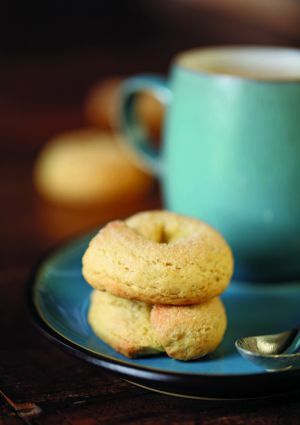 When I received my free copy of the new Einkorn cookbook, I thought it would be just that, a cookbook that would help me adapt regular flour recipes over to einkorn flour recipes. I've been using einkorn flour more and more over the past few years after learning about how it's the original grain of wheat and better tolerated by most people since it hasn't been hybridized throughout the years like conventional wheat has, and because it has many additional nutritional benefits. However, this book rocked my world! “Everything about einkorn is different“. Einkorn is the only wheat never hybridized. By the way, note that hybridization and genetic modification (GMOs) are very different, and genetically modified seeds are much worse than hybrid seeds; but for certain plants, they've been hybridized SO much, that the resulting crop is not easily digested in certain people. It has 50% more manganese, riboflavin, and zinc, and 20% more magnesium (most of us are deficient in magnesium! ), thiamin, niacin, iron, and vitamin B6. More nutrients = more flavor. I'm not one to buy into the theory that no one should eat grains (yes, I know, I've bounced around on that a little over the years, thanks for hanging with me as I work through all of this), but I do wonder, even if no one in our family has skin rashes, hyperactivity, digestive problems, or other health issues, could modern wheat still be doing something in us silently, just because it IS so different from the wheat of our ancestors?! After reading this book, I want to strive toward getting ALL conventional wheat out of our house. We love dipping crackers into cream cheese or this fiesta cheese dip for a snack, so now I buy these einkorn sourdough crackers. Plus there are three recipes in the book to try making your own. Bread is going to be next up in my kitchen. I tried making this beautiful no-knead einkorn artisan bread recipe (pictured below) and loved it to serve warm with lots of butter as part of a meal, but it's not so great as a sandwich loaf. 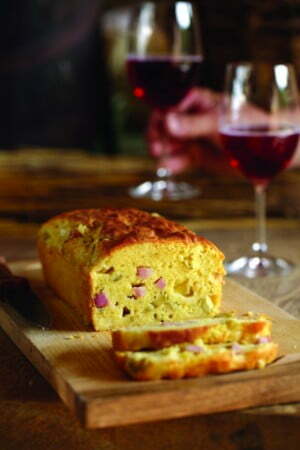 However, the cookbook also has a recipe for a “Classic Sandwich Loaf”, which I'll be trying next. This cookbook reads like an interesting novel! Probably because I love cooking so much, I enjoyed reading about each delicious real food, European-inspired recipe, with the stories about Italian farms and traditions, and how different ingredients can change it somehow. Or how you could tweak it this way or that if desired. Maybe it's just me, but I don't only like to eat food; I like to read about food, talk about food, and hang with my daughter and/or husband (and more & more our youngest son too!) as we cook together and watch TV shows about food! Plus the heartfelt stories about Carla's daughter's health really moved me. The other thing I love about this cookbook is that it has new, interesting (but not complicated) recipes that I'd like to try, but also a bunch of easy-for-Moms recipes that kids love — recipes like bagels, hamburger buns, pita bread, tortillas, crackers, buttermilk pancakes (which I happen to be whipping up for my son and his sleepover buddies in a few minutes, at his request), chocolate cupcakes with chocolate chip buttercream frosting, Italian cream puffs (top photo), and New York style pizza. 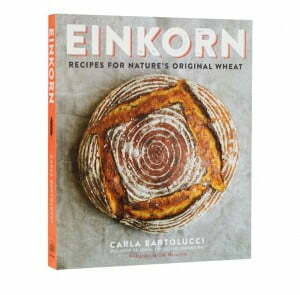 Click here to get the Einkorn Cookbook. This is one of my favorite posts on my blog, because it also caused light bulbs to go off in my head: How to eat carbs safely and lower the glycemic index of the foods you love. Have we fallen for a fad diet? If you are diagnosed as having Celiac Disease, you may want to listen to Sean Croxton's podcast with Dr. Tom O'Bryan, who reminds us that you must avoid gluten even if you have no symptoms or it will cause long-term damage. Special Diets Ruining Dinner Parties Everywhere! This post was originally sponsored by Jovial Foods. Photos reprinted with permission from Einkorn: Recipes for Nature’s Original Wheat. Copyright © 2015 by Carla Bartolucci. Photos by Clay McLachlan. Published by Clarkson Potter, an imprint of Penguin Random House, LLC. See my full disclosure here. so…a point from a gardener about these wheats…They have modified wheat to be shorter, less chaff and more seed. It grows more quickly, so they can get more crops in. If you remember the 3′ tall wheat blowing in the breeze in the opening scene for Little House on the Praire…that is old tall wheat. The new wheat is only 18″ tall, and is mostly seed. They spray it with round up JUST BEFORE they harvest to force the plant to make more seed. Nature tries to prevail by setting more seed before the plant dies. Then they harvest, thresh, package or grind and package, then it comes to your house. That round up never gets washed off, it’s in your bread and cereal and bagels and cake. Just as an FYI. if wheat is a long season wheat that takes 120 days or more to grow it will have more nutrients- like Eikhorn does. If it’s a short season crop that they can plant twice over 120 days or even just a shorter growing season, it has less time to take up nutrients from the soil so will be less nutrient dense. In gardening and farming, there is no such thing as a free lunch. If you plant a gm tomato and fertilize it, it will grow fast, you may get tomatoes off it in 30-45 days, but they will taste like water and cardboard, and even sometimes like the fertilizer if you have a good palate. If you plant an heirloom tomato and let it grow and ripen for 90 days it will taste like sunshine and a little salt and a few other great minerals that define the flavor of real tomatoes. I love it! I just made a loaf of their 2 hour sandwich bread today (I make a fresh one every few days). I also use it as my replacement of all purpose flour in all my recipes. It has a wonderful flavor! Michael Pollan’s awesome new documentary, Cooked (episode Air), talks about how much easier it is to digest bread that has been allowed to rise slowly and ferment into sourdough the old fashioned way rather than adding yeast. Then I started reading Cultured Food For Life (lacto fermentation book) by Donna Schwenk and she says that when you go one step further and allow the wheat berries to sprout, it transforms the wheat so that your digestive system digests the wheat like a vegetable instead of grain. Alarm bells went off! The whole process of making modern bread has been altered many many times over the years. Donna Schwenk says that many of our digestive tracts are so damaged from processed food, that we may not be able to tolerate even this healthier way of making bread until our guts are healed. She recommends making homemade fermented foods like kefir, kombucha, and cultured vegetables which are chock full of natural probiotics and easily digestible vitamins to heal the gut which can reduce or eliminate food allergies. Then bring on the homemade bread. Her research is largely based on Dr Natasha McBride’s GAPS Gut and Physiology Syndrome as well as Dr. Mercola. I make my own bread. So yummy!!! My Littles did not react. I did, however. Yes, the amount of gluten per stalk of wheat is hundreds of times more than it was 2000 years ago. It’s no wonder people are gluten intolerant. Bought the cookbook but haven’t sat down with it and am really looking forward to getting started with this exciting grain …thanks for all your info. 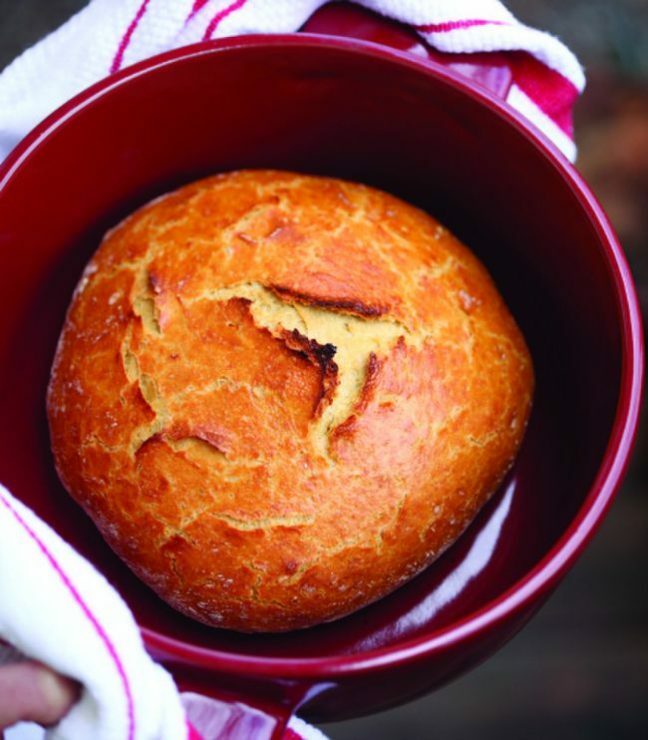 I LOVE the Jovial Einkorn cookbook! Einkorn is the only “wheat” flour I use. I don’t really think of it in the same category as regular wheat flour – it doesn’t affect us physically like conventional wheat. Kelly, are the recipes in the book for bought or self-milled einkorn? Also, I’d love for you to do a post on Sue Becker’s CD “The Truth About Wheat” which is free on the Bread Beckers website. It’s humorous and very informative. Her info is in this same vein. Hope that helps, and I’ll check out that website, thanks! I love einkorn, simply can’t afford to replace all wheat with it. I still use bulk organic wheat berries and mix some einkorn in for flavor. That and sour raw milk and my breads, rolls taste like my Grannies did. We are not gluten sensitive but chemical sensitive, mostly my hubby. and to much commercially made breads, wheat products, crackers and he wheezes and gets short of breath. Not sure if its a combo reaction as worst with non organic wheat products and the last 15 years using so much Round Up prior to wheat harvesting. But bromide also seems to impact him. Robin, what a great way to use up extra raw milk as it starts to sour!